Take a look at some of the most useful car gadgets which will make your driving experience more safe and enjoyable. 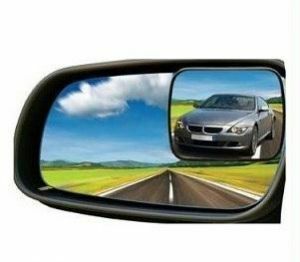 Then check out Total View Car Mirror, a complementary mirror that gives you a wider field of vision that will give you the driving confidence you always want to have Total View Car Mirror is an additional mirror which you attach to your existing left and right side mirrors. Its concave design allows you a much wider view of cars behind you. With both Total View Car Mirrors combined, you have a 360-degree view of traffic. It virtually increases your field of vision, eliminating blind spots that could cause unwanted accidents. Make sure to keep this tools handy which helps you to get out of unexpected situations, it will help you break a car window and cut the seat belt to help driver smooth escape. This HD Vision Night visor improves color, clarity and optical definition, so you can see better when driving. The HD vision visor blocks the direct light and gives you clear vision from headlights, streetlights and traffic lights in wet or dark conditions. 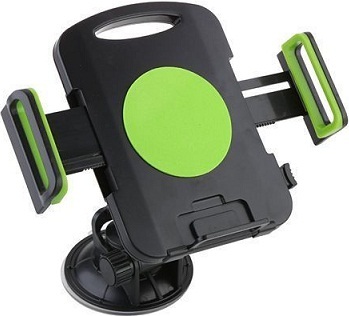 Keep your gadgets handy and in a steady position with this universal mobile/tablet holder. Simply place your device and use it hands-free. Your car usually gets heated up when parked in an open area due to direct sunlight. 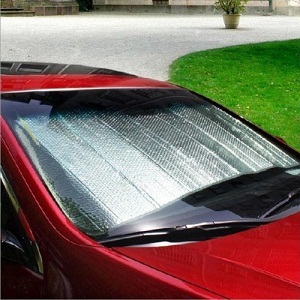 You can use this sunshade to blocks the sun rays and thereby reduces the heat in your car. This sunshade also protects your dashboard which is more likely to get damaged. All you need to do is connect the red clamps to the positives of dead and donor battery and the black clamp to the donor battery and one side to the metal nut of your car's engine block. Start the donor car first followed by the the one with dead battery. #7 Skipped your morning tea? Enjoy it on the go! Simply connect this device to your car lighter socket and enjoy piping hot tea or coffee on the go.